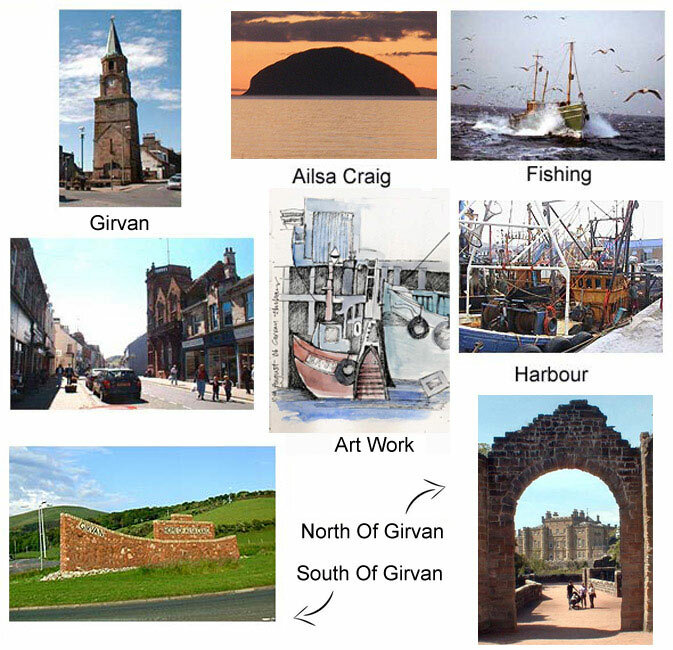 Girvan is a fishing port, and a holiday resort. It also relies on farming and the distillery for employment. There is good bathing, golf and sea angling,tennis courts and bowling greens. There are also trips to Ailsa Craig in the summer, the Craig being 10 miles off the coast and home to a myriad of seabirds including gannets and the puffins have, at last, returned now that the rats have been removed. Angling - Pier fishing and boats. Mostly plaice, codling, rays, flounder, pollock and ling, wrasse, mackerel, dogfish, conger.